Why it is not efficient anymore to unsolder the memory chips from SSD? What will you do if SSD is not detected or determined by 0 capacity? How can we use SSD technical mode? 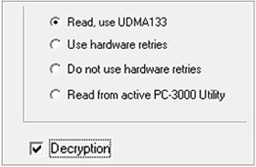 Are you still spending much time on WD USB data decryption? Complex RAID configurations. Special features of RAID data recovery. Effective methods for defining RAID configuration in complicated cases. 10:00 — 11:20 SSD today. 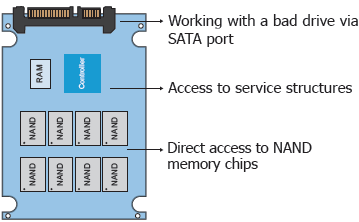 SSD architecture overview. Key problems with SSD. Causes of failures. 12:30 — 13:00 Contemporary MLC\TLC NAND chips and the ReadRetry command as an efficient method of tackling bit errors. 14:00 — 15:00 External USB WD HDD. Types of the applied USB-SATA bridges with encryption. Data recovery techniques for encrypted USB WD HDD. The new “On-the-fly Decryption” method. 15:30 – 17:00 Complex RAID configurations. Special features of RAID data recovery. Personal confirmation letter you get during the registration is required on the conference in Prague.